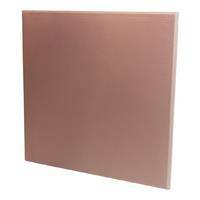 10 sheets of Broadband Acoustic Foam - SWAMP PY-28. 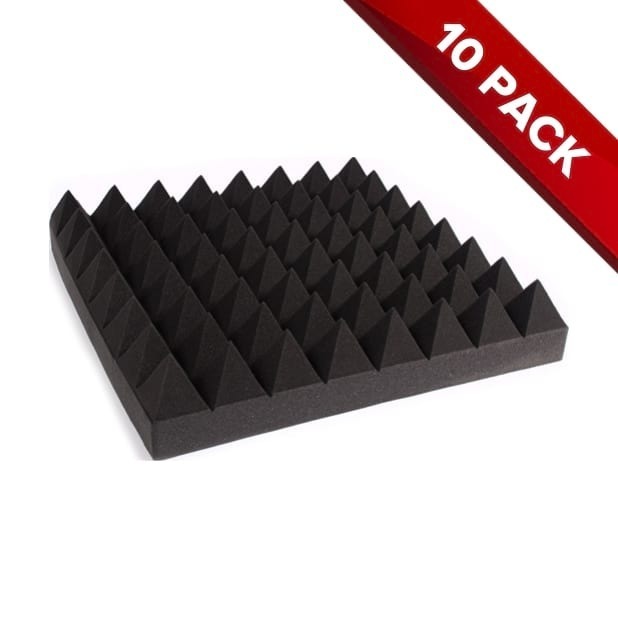 Thick 95mm pyramid style acoustic foam, effective in sound absorption across a broad frequency spectrum (down to 250Hz) to aid in the creation of optimal listening and recording environments. 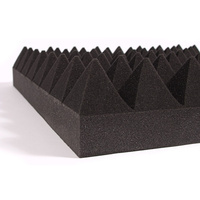 Thick, dense 95mm pyramid style acoustic foam, effective in sound absorption across a broad frequency spectrum (down to 250Hz) to aid in the creation of optimal listening and recording environments. 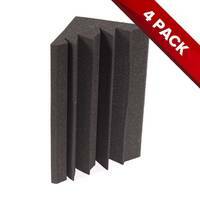 Popular applications include acoustic treatment for professional recording studios, vocal booths and home studios. 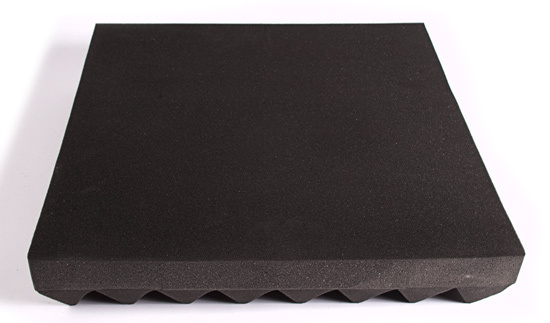 With the foam also thick and dense enough to provide adequate levels of sound proofing for many excess noise applications. 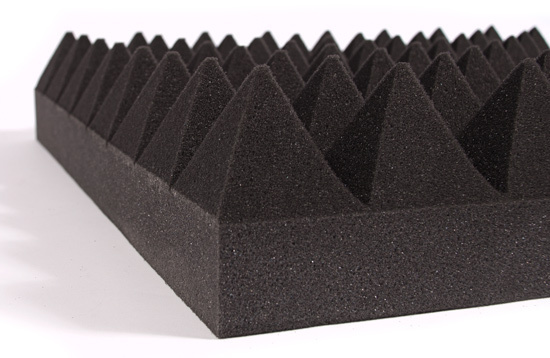 Cut from premium high density acoustic foam with a 45mm base and 50mm pyramid cone, SWAMP PY-28 is a quality acoustic treatment product suitable for professional broadcast and recording studios. 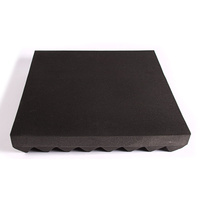 How you attach the foam to a wall or surface, really depends on the surface and how permanent you wish the installation to be. 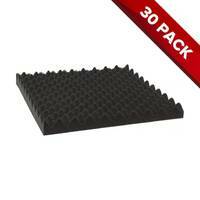 Popular methods for wall attachment include staples, nails, screws, tacs, glue and velcro. On this type of thick foam, using glue of velcro is recommended. 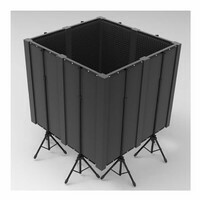 Extremely good for home studio treatment. Helped immensely. 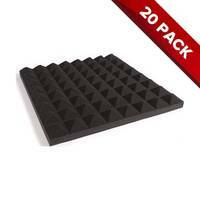 Great product, completely deaden sound in studio! totally recommended! !